Aim to support and balance an individual’s overall physical, mental, spiritual and emotional wellbeing allowing the body to heal itself naturally. The ancient Greeks are thought to be the first to use ear candles for cleansing and purifying and also for spiritual healing. This practice then migrated to America, where the Native American Hopi Indians of North Arizona used it widely to treat and heal, mainly by Shamen healers. This gave this treatment its name today - Hopi Ear Candling Therapy. Hopi means peace in native American. The candles are still made today on the basis of the old traditional formula which originates from the Hopi Indians. 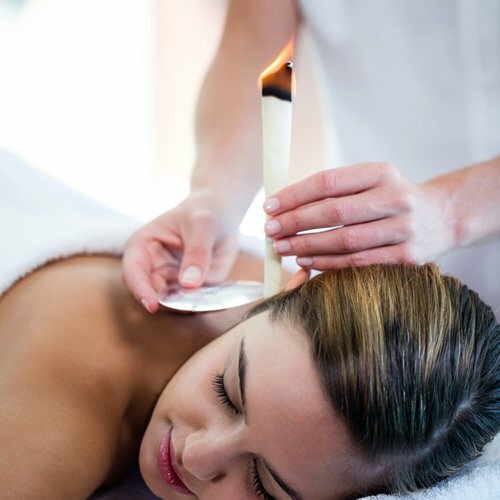 Hopi Ear Candling is a deeply relaxing, calming and soothing treatment to help maintain and create a 'healthy head'. The candles used for this treatment are Biosun candles, they are designed specially with a safety filter and are marked to show the maxmium burn level. These candles are made from linen, 100% pure beeswax, honey extract and essential oils.